A month ago we published a list of the elected lawmakers and public servants we lost over the last year. Last night, a legendary leader was added to the list. A member of the United States House of Representatives from December 13, 1955 to January 3, 2015, John Dingell holds the record for longest-ever serving Congressperson in American history. Dingell was the grandson of polish immigrants named Dzieglewicz. The family's surname, roughly meaning 'blacksmith', was anglicized to Dingell. 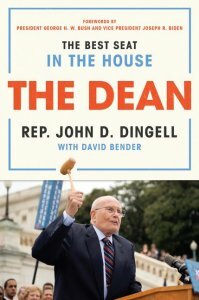 The son of a Congressman, Dingell worked in his father's office from childhood and became a house page in 1938, when he was just eleven years old. 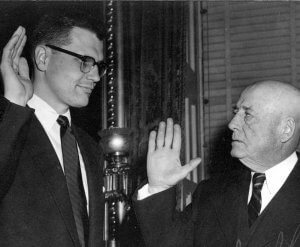 Speaker Sam Rayburn swears in John Dingell in 1955. Nicknamed "Big John" for his forceful nature and 6'3" frame. In 1944, at the age of 18, Dingell joined the United States Army, rising to the rank of Second Lieutenant. After World War II, he attended Georgetown University, graduating with a BA in Chemistry in 1949 and a degree from Georgetown Law in 1952. He was elected to Congress in 1955 at the age of 31, succeeding his father, John Dingell Sr., who died months before and who had held the seat for 22 years. Dingell went on to represent Michigan for over 59 years, and played a key role in landmark legislation, including the Civil Rights Act of 1957 and the Endangered Species Act. A formidable figure in the House, he served as Chairman of the powerful House Energy and Commerce Committee from 1981 to 1995, and again from 2007 to 2009. "The Dean of the House and my dear friend - was not merely a witness to history. He was a maker of it" - Senator Debbie Stabenow. The New York Times called him "an investigative powerhouse" in his efforts to root out government and corporate fraud, "Everything from nuts and bolts to blood banks, bottled water and cardiac pacemakers are unquestionably safter now because of Mr. Dingell's efforts." His was an effective and unwaivering advocate for Michigan's auto industry, and, as one who introduced his father's universal, single-payer health insurance bill every Congress, became one of the original authors of what would become the Affordable Care Act. He announced in 2014 that he would not seek re-election and instead his wife, Debbie Dingell, ran for his seat. She continues the Dingell dynasty in her third term. President Barack Obama awarded John Dingell the Presidential Medal of Freedom in 2014. 92 years old, John Dingell succumbed to prostate cancer. In honor of the elected lawmakers and public servants we lost in 2018. 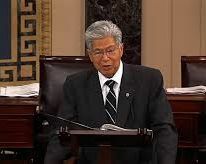 Former Senator Daniel Akaka (D-HI) died April 6, 2018 at age 93. 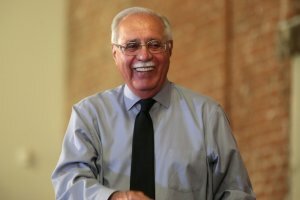 Former Congressman Ed Pastor (D-AZ) passed November 27, 2018 at age 75. 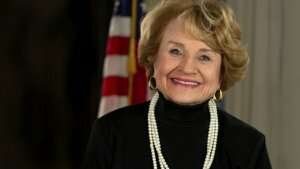 Congresswoman Louise Slaughter (D-NY) died March 16, 2018 at age 88.